Students with special needs face a number of challenges in our nations’ schools and communities. 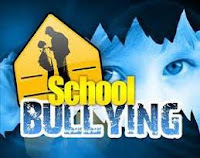 Although students in general and special education experience bullying, there is little research investigating bullying (i.e., as a bully, victim, or bully–victim) among students with disabilities. A study published in the Journal of School Psychology found that students receiving special education services for behavioral disorders and those with more noticeable disabilities are not only more likely to be bullied than their general education peers, but are more likely to engage in bullying behavior themselves. Participants in the study were 816 students, 9 to 16 years of age, from nine Midwestern elementary and middle schools in one school district. From this total group, 686 were not receiving special education services (categorized as “no disability”), and 130 were receiving special education services (categorized as “observable disability,” “non-observable disability,” and “behavioral disability”). Data on students’ involvement in bullying, office referrals, and prosocial behavior were collected. Self-report measures were used to assess students’ experiences with bullying and victimization and how often students engaged in various aggressive and prosocial behaviors. The study also found that students with non-observable disabilities, such as a learning disability, reported similar levels of bullying and victimization as students without disabilities. They also reported significantly less victimization compared with students with more outward behavioral disabilities. While both boys and girls engaged in bullying, there was no significant gender difference in both general education and special education students when it came to the behavior. Although fifth grade students in general education reported much more victimization than sixth-, seventh-, eighth- and ninth-graders, there was no difference for students in special education. What are the implications of this study? The authors offer several suggestions for school-based bullying prevention and intervention programming. For example, anti-bullying interventions emphasizing prosocial skills should be implemented for students, regardless of their ability. Students in general education could help the process by serving as prosocial role models for students with disabilities. Teachers may also provide reinforcement for prosocial behavior or assign students in general education with students in special education in small groups to work on class projects together to promote positive interaction. For students with both behavioral and observable disabilities, providing support and teaching strategies to cope with peer victimization are important. Helping students with observable disabilities become better integrated into general education classes may help prevent them from being bullied. "Programming should be consistently implemented across general and special education, should occur in each grade and should be part of an inclusive curriculum," the authors recommend. "A culture of respect, tolerance and acceptance is our only hope for reducing bullying among all school-aged youth." 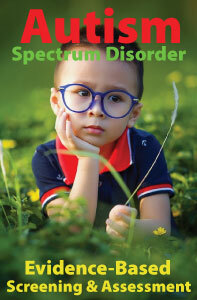 Lee A. Wilkinson, PhD is author of the award-winning book, A Best Practice Guide to Assessment and Intervention for Autism and Asperger Syndrome in Schools. He is also editor of a best-selling text in the American Psychological Association (APA) School Psychology Book Series, Autism Spectrum Disorder in Children and Adolescents: Evidence-Based Assessment and Intervention in Schools. 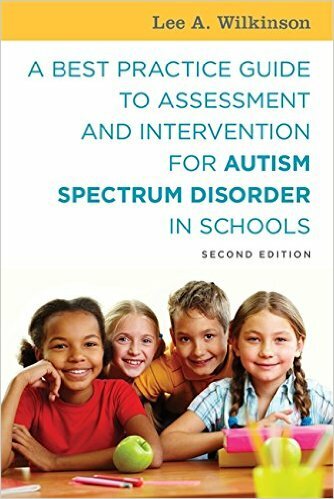 His latest books include, Overcoming Anxiety and Depression on the Autism Spectrum: A Self-Help Guide Using CBT and A Best Practice Guide to Assessment and Intervention for Autism Spectrum Disorder in Schools (2nd edition).